Scorpion Moving is a full service moving company serving Los Angeles and surrounding areas. We provide high quality disassembling/assembling, full packing and moving services for residential and business customers. We can provide assembly/disassembly for large items. We have experienced movers and we provide all the necessary equipment. Careful packing is one of the most important aspects of your move. Careful packaging is usually the difference between an item arriving safely or in pieces. The Scorpion Moving team is ready to pack your items if you are unable to do so yourself. We can provide any necessary supplies, or use your existing supplies. The Scorpion Moving team can move you down the street, to another suburb within the same city, or from city to city. This kind of move may be quicker than long distance moves, but the steps involved in the moving process remain the same. 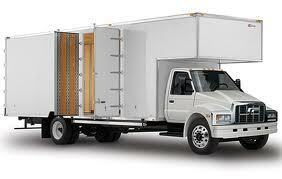 Local moves from unit to unit or floor to floor can be carried out without paying for a truck. The Scorpion Moving team can travel anywhere in California. Call for information about interstate move availability. Charges for such moves depend on distance. Feel free to contact us and get a free moving estimate.